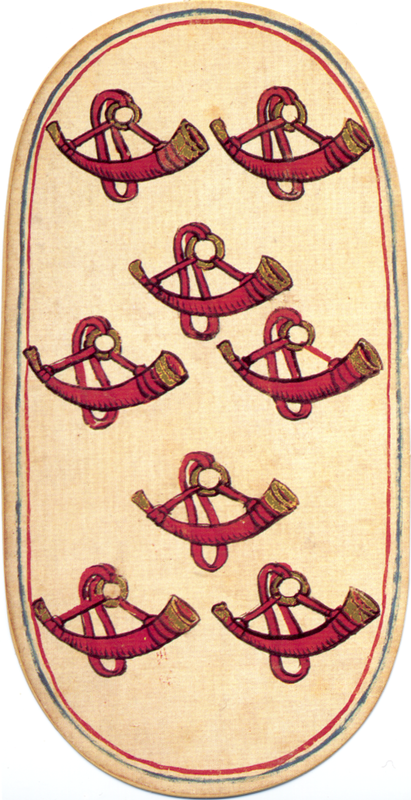 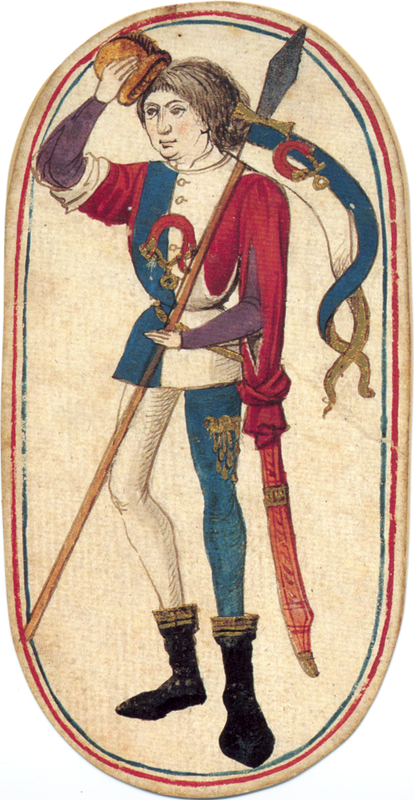 The Flemish hunting deck , also called The Cloisters playing cards is a set of 52 handpainted oval playing cards, dated to around 1475—1480 on stylistic grounds. 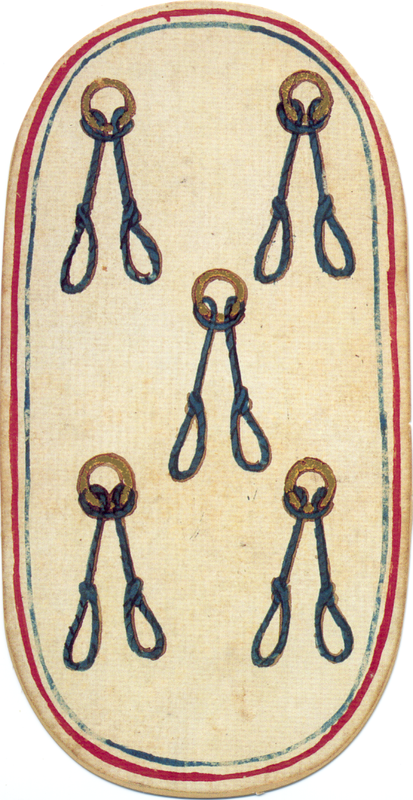 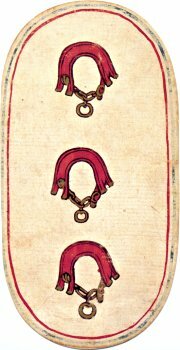 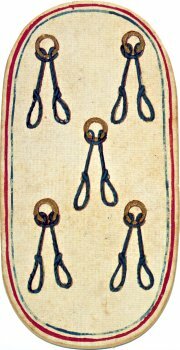 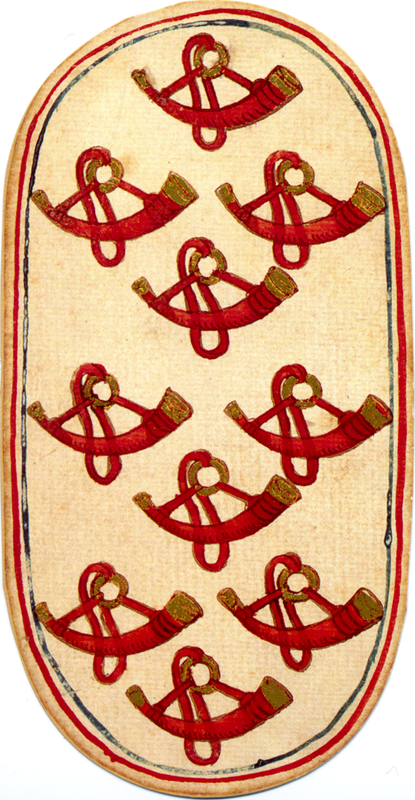 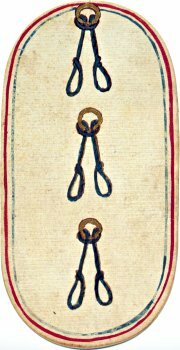 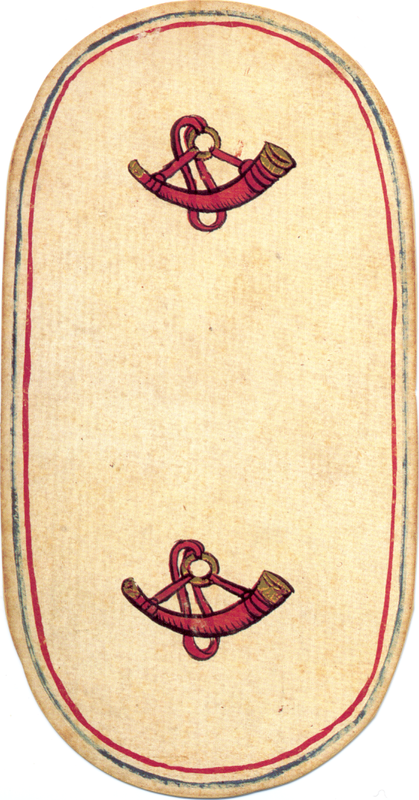 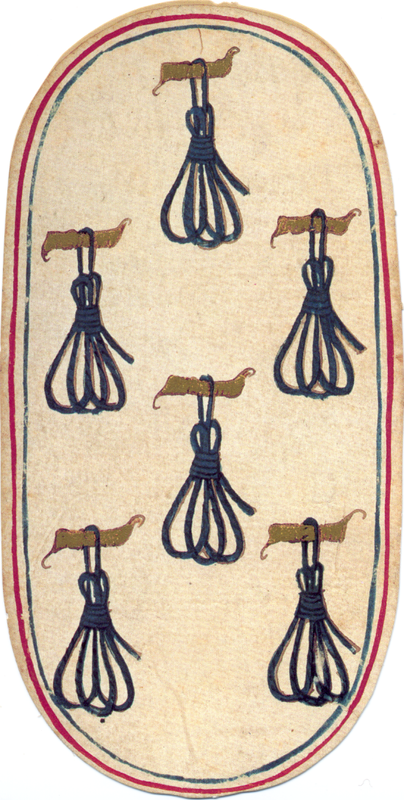 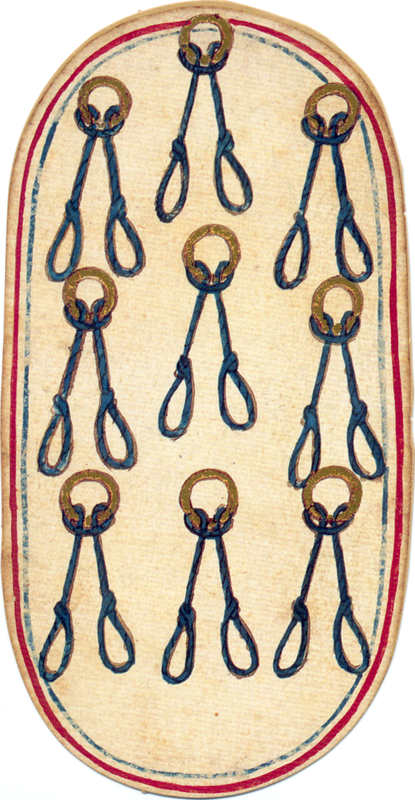 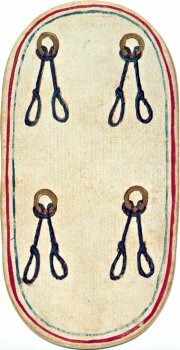 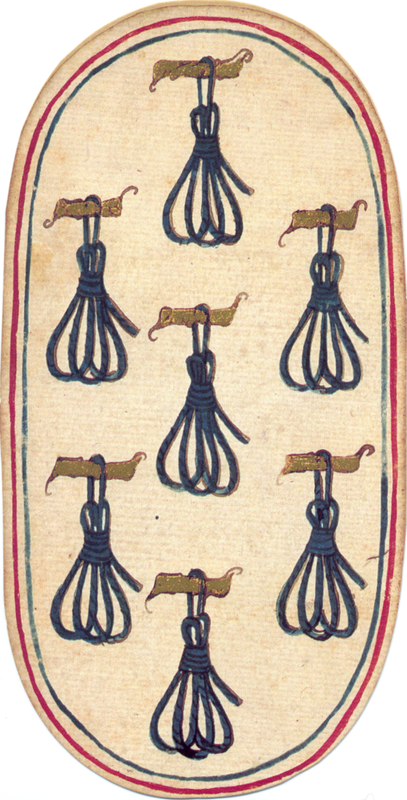 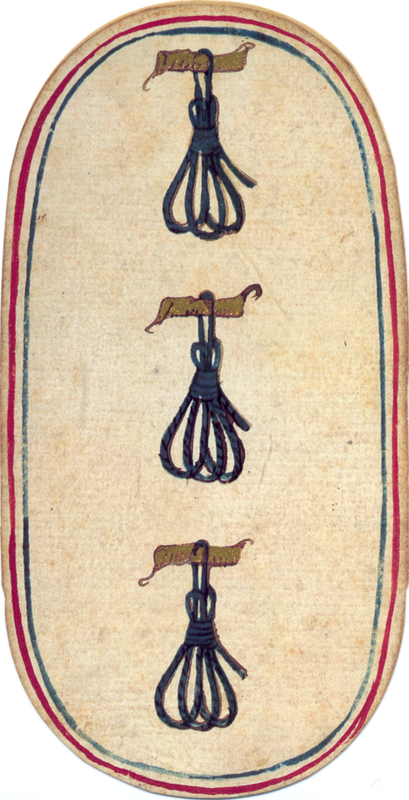 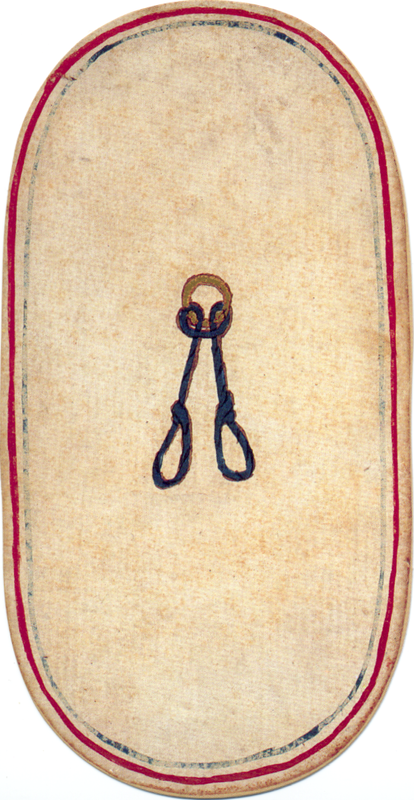 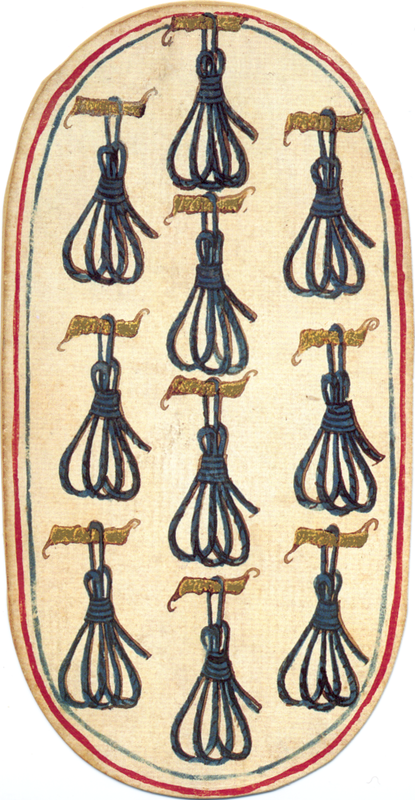 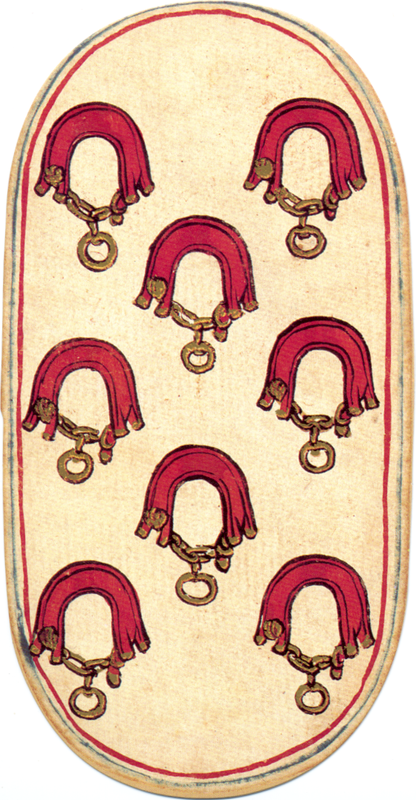 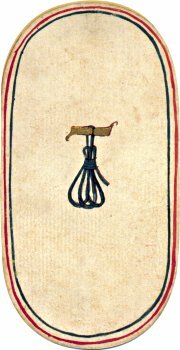 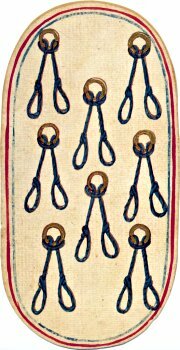 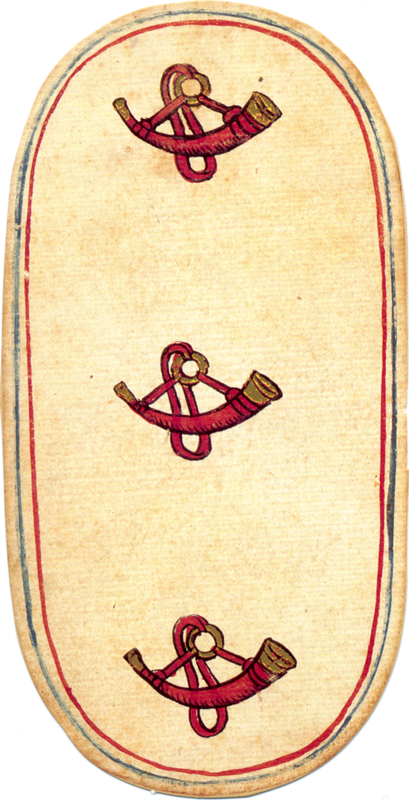 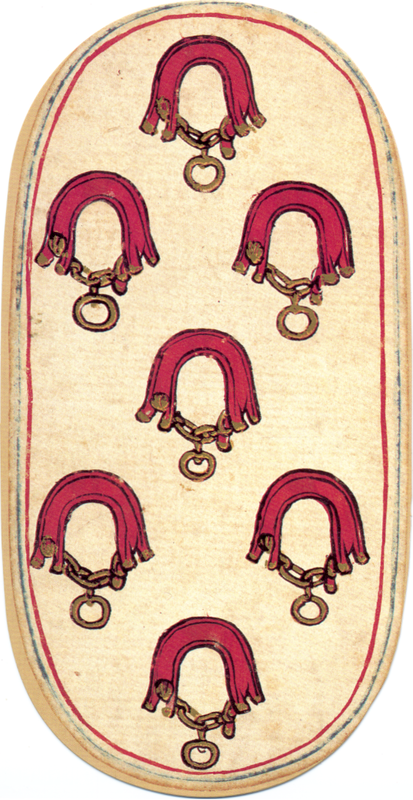 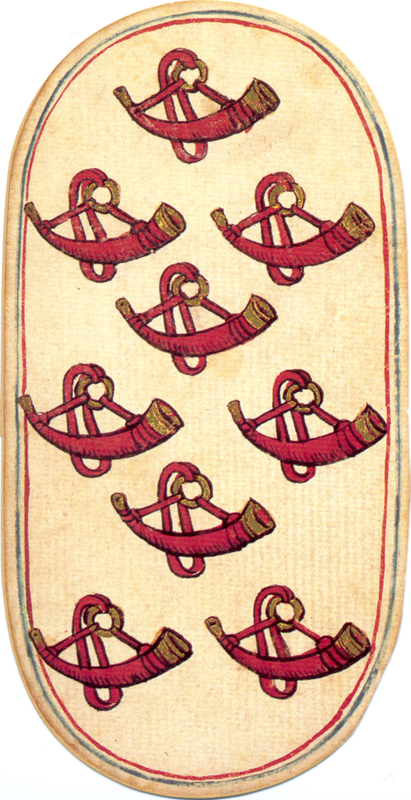 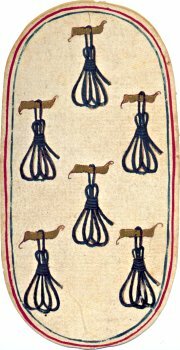 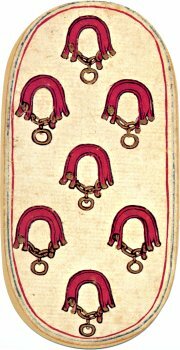 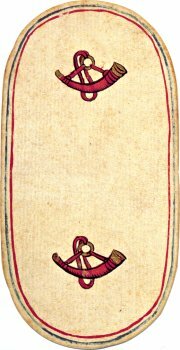 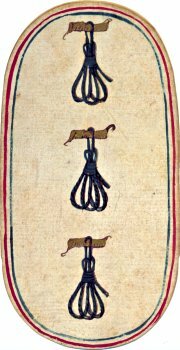 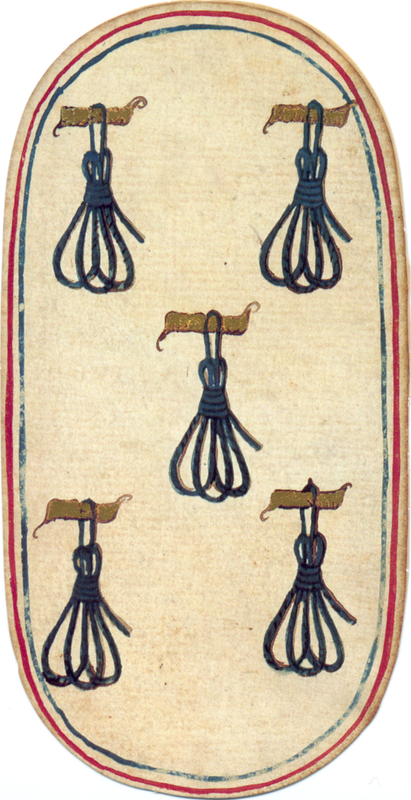 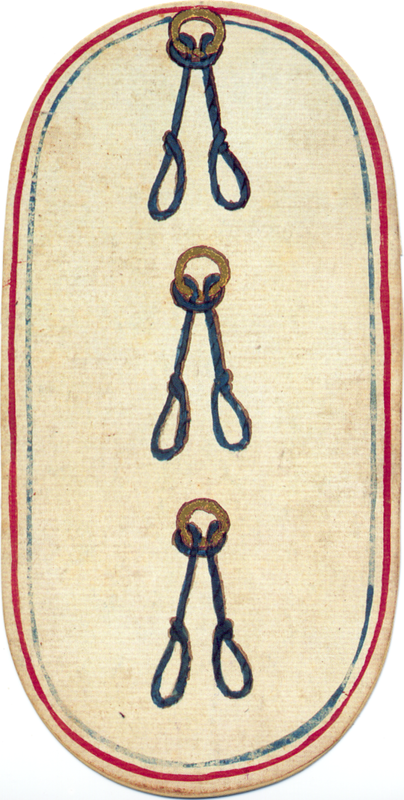 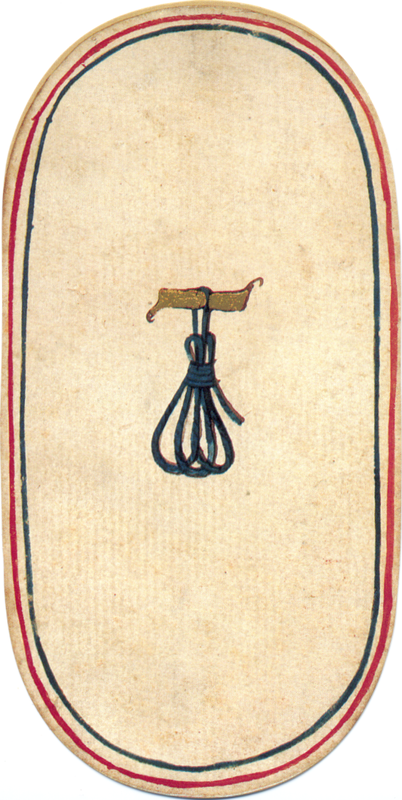 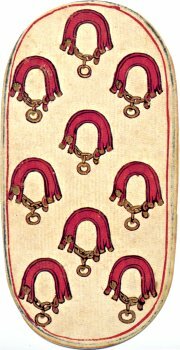 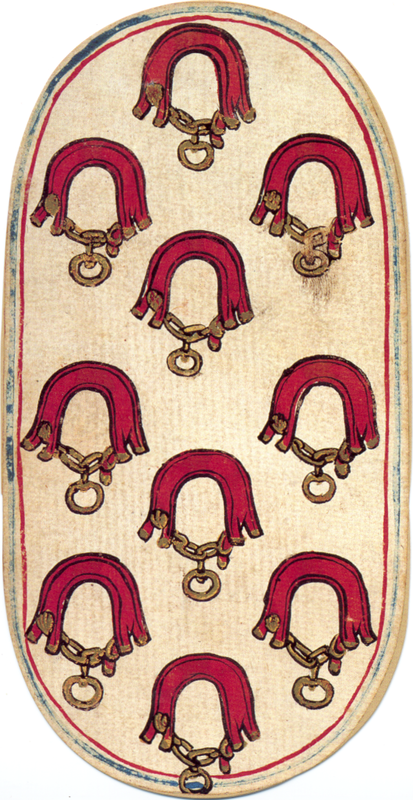 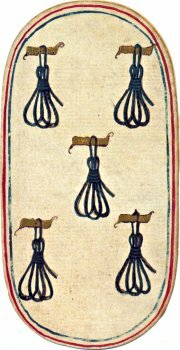 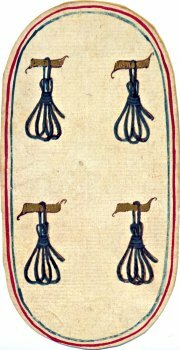 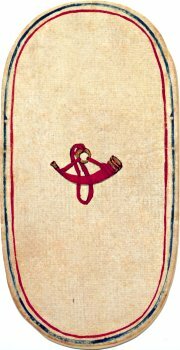 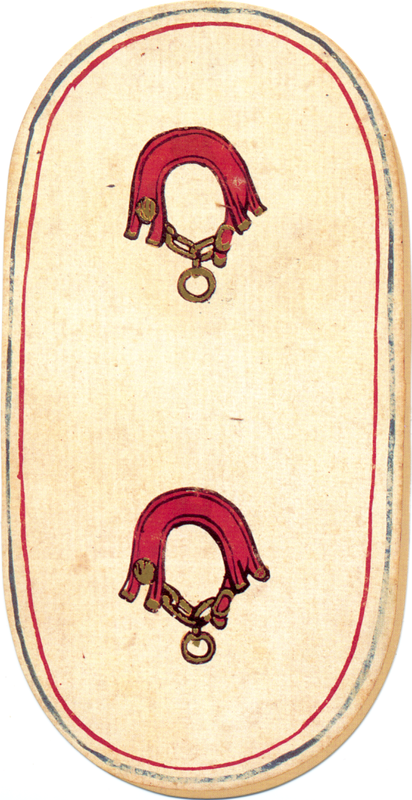 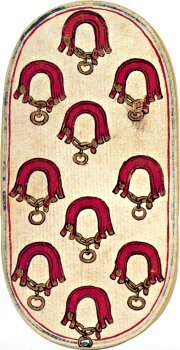 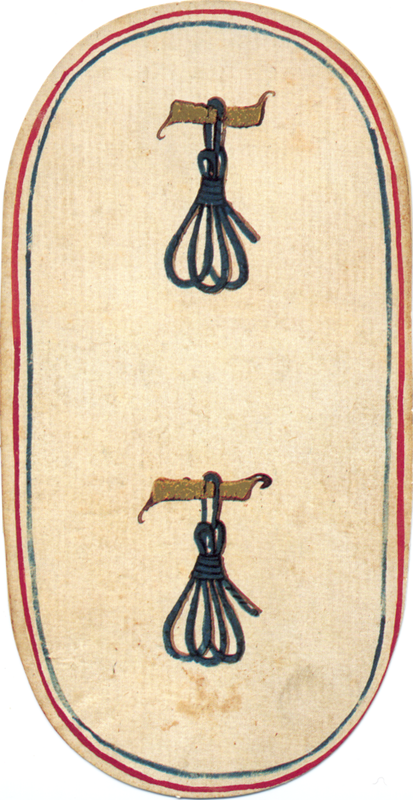 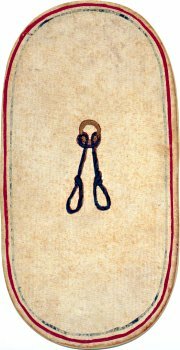 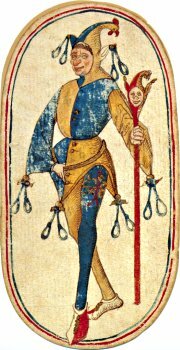 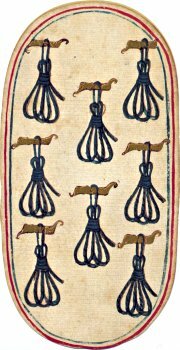 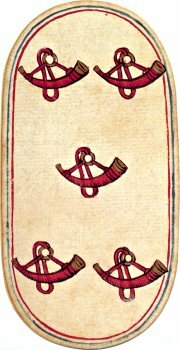 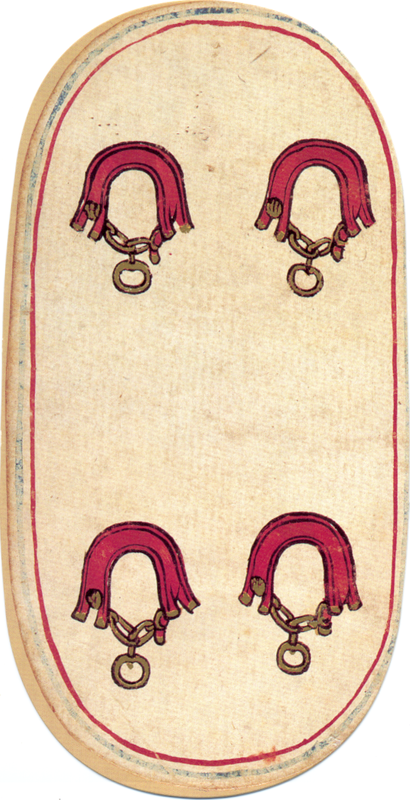 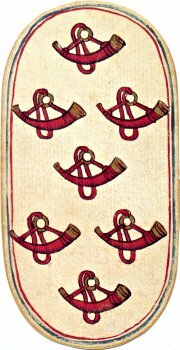 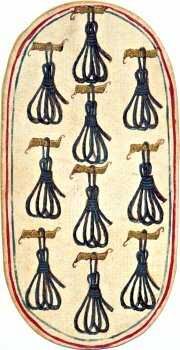 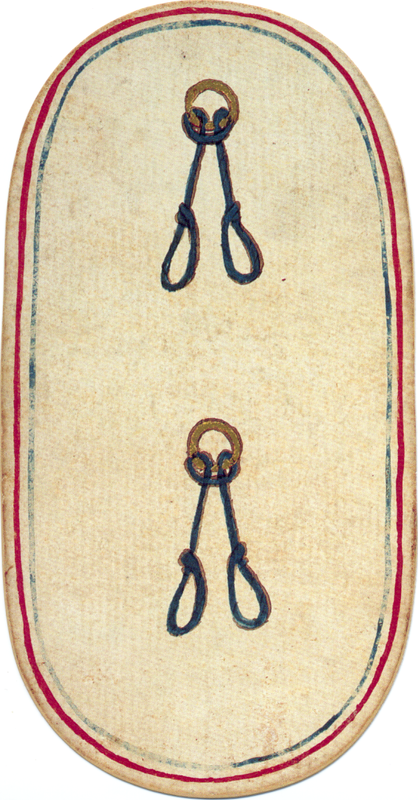 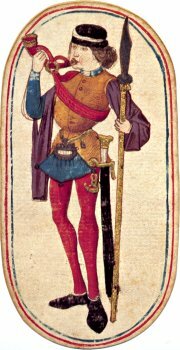 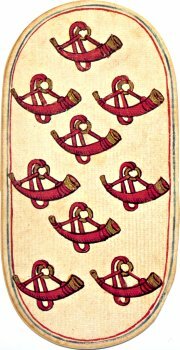 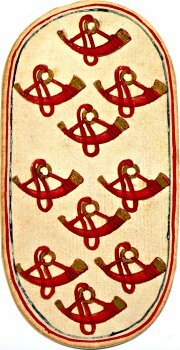 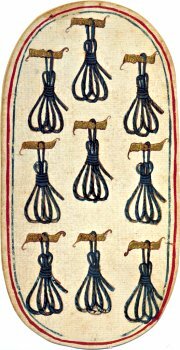 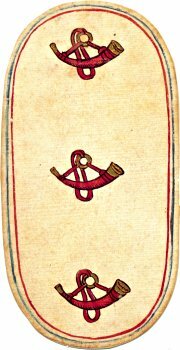 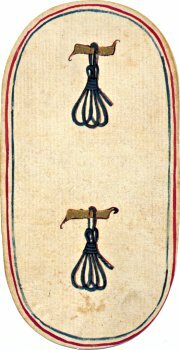 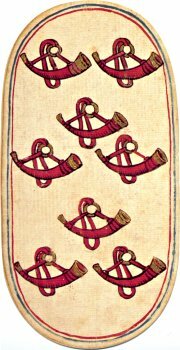 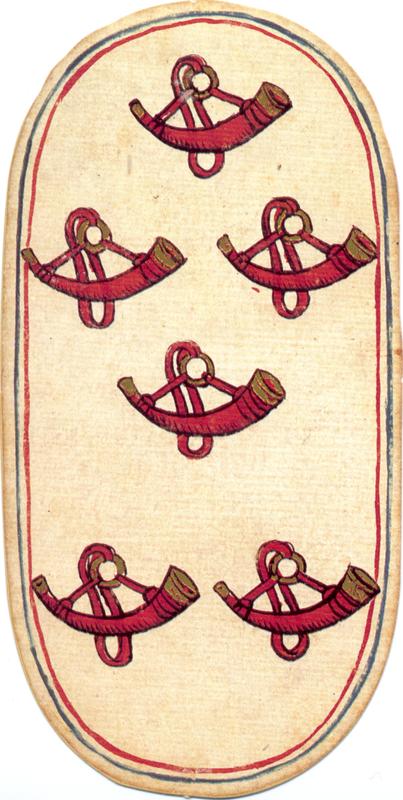 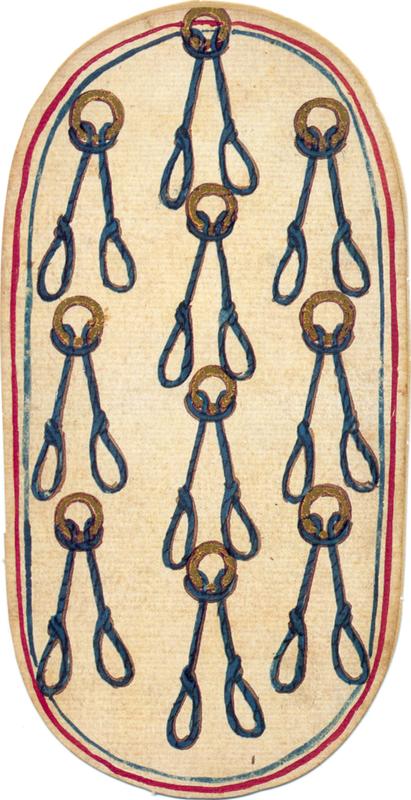 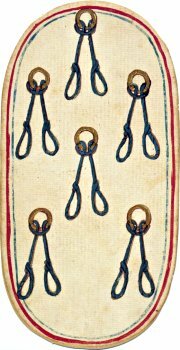 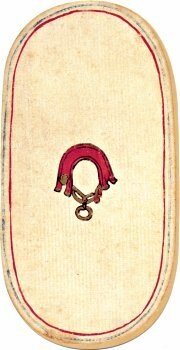 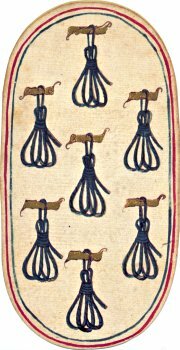 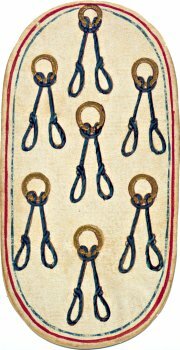 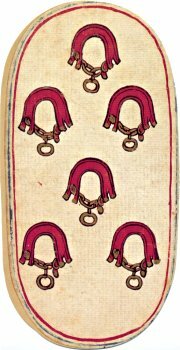 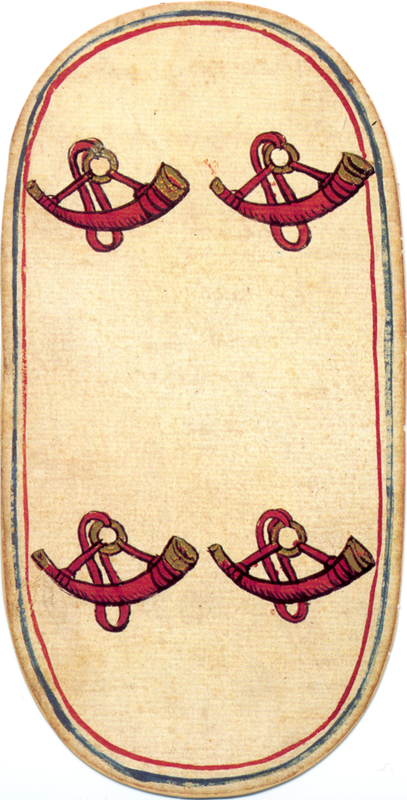 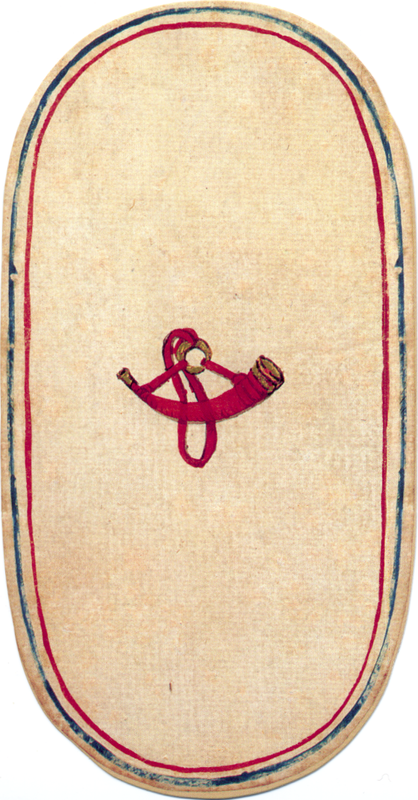 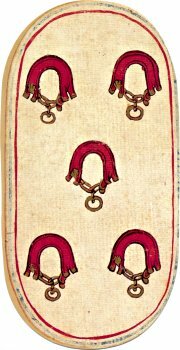 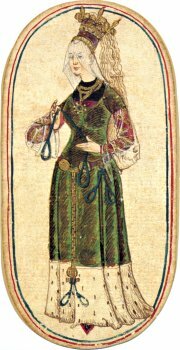 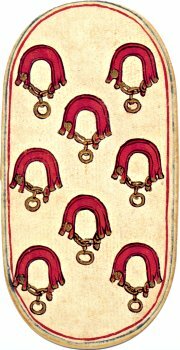 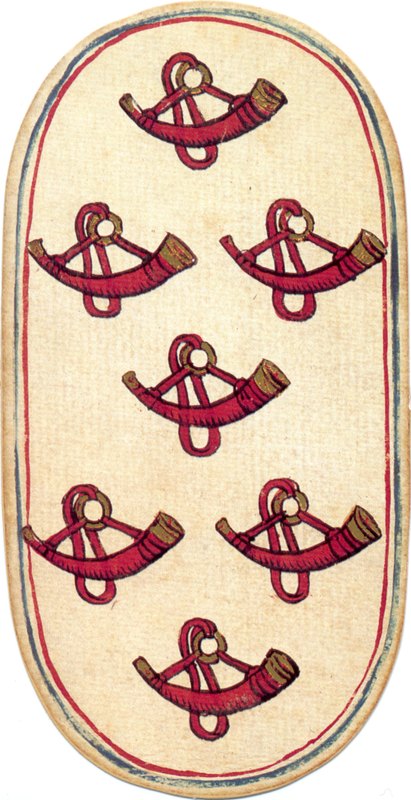 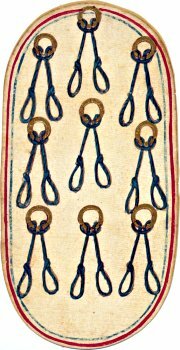 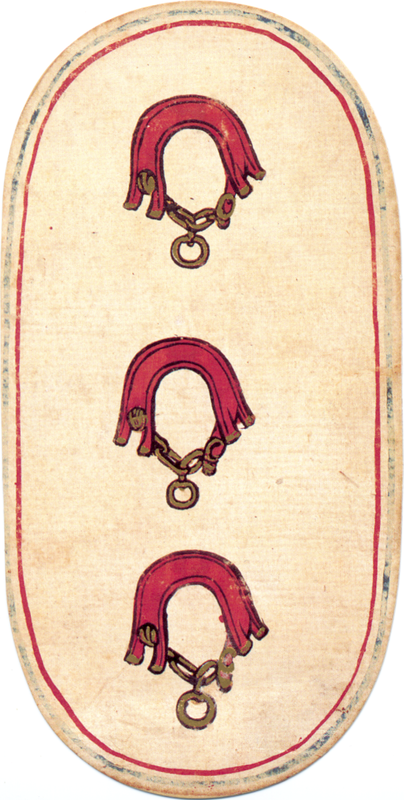 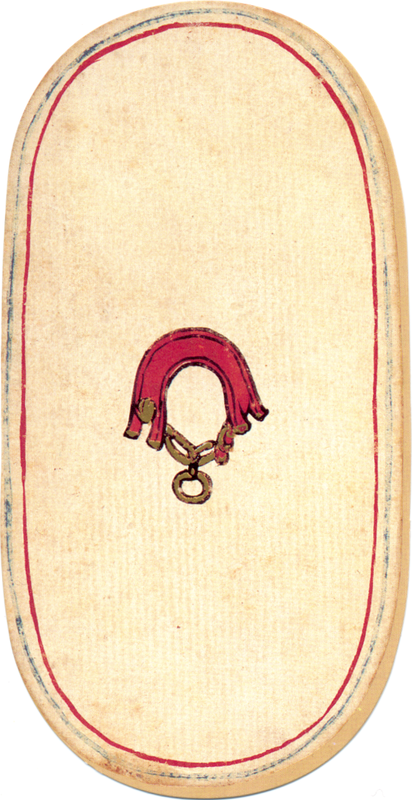 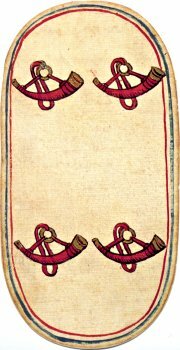 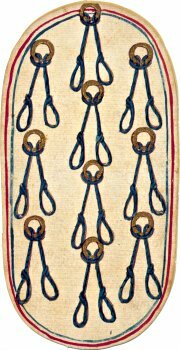 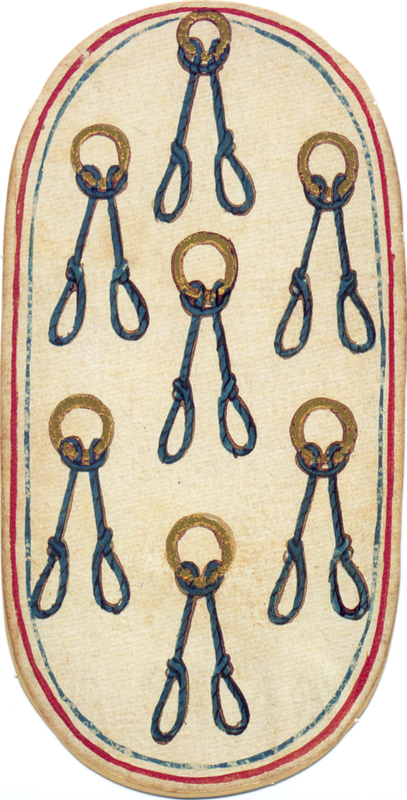 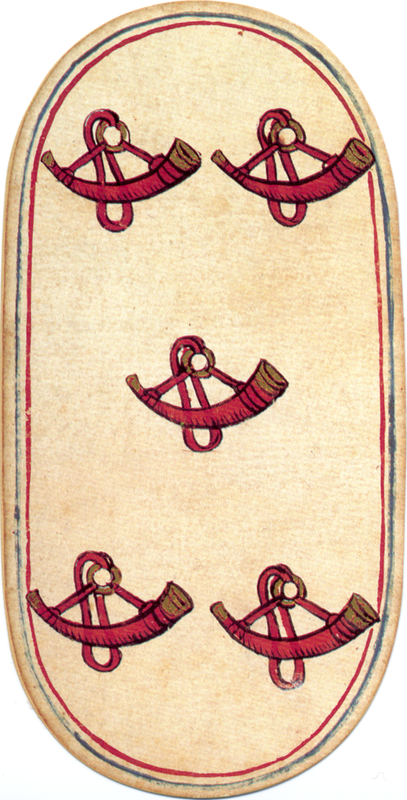 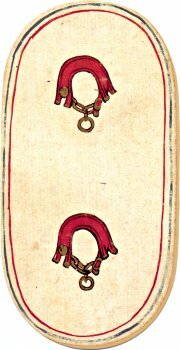 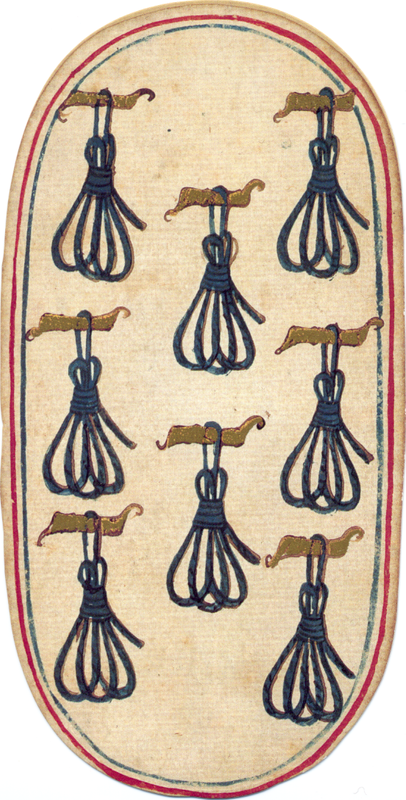 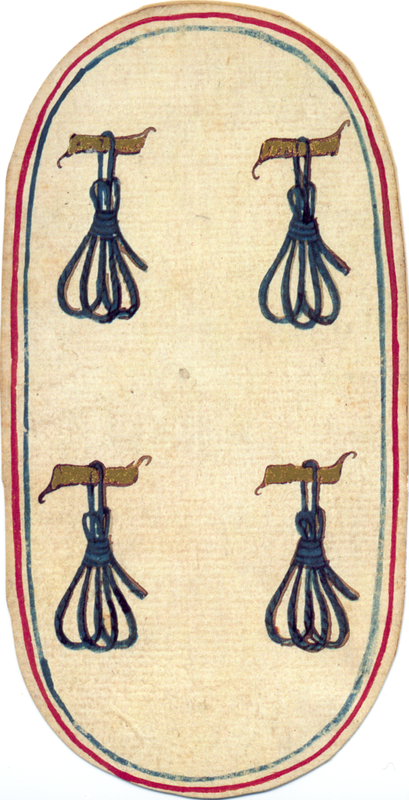 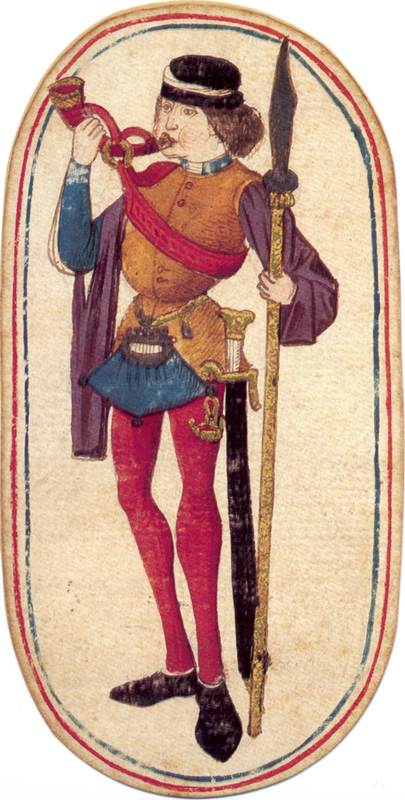 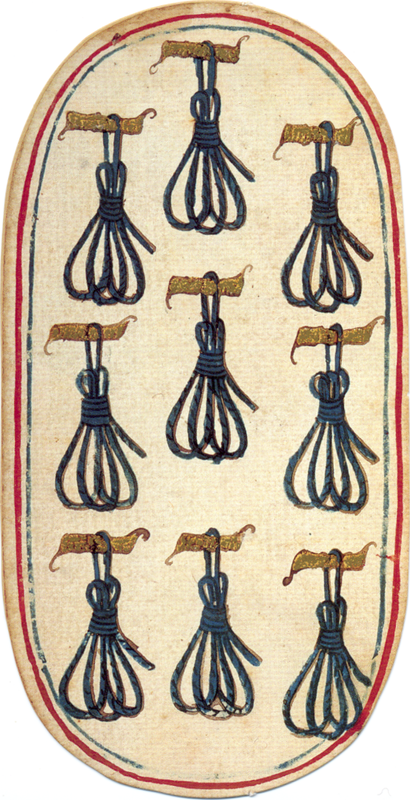 Like the earlier Stuttgart and Ambras decks, the suit symbols are unique and related to hunting: nooses for birds or small game, tethers and collars for hunting dogs and huntsman's horns. 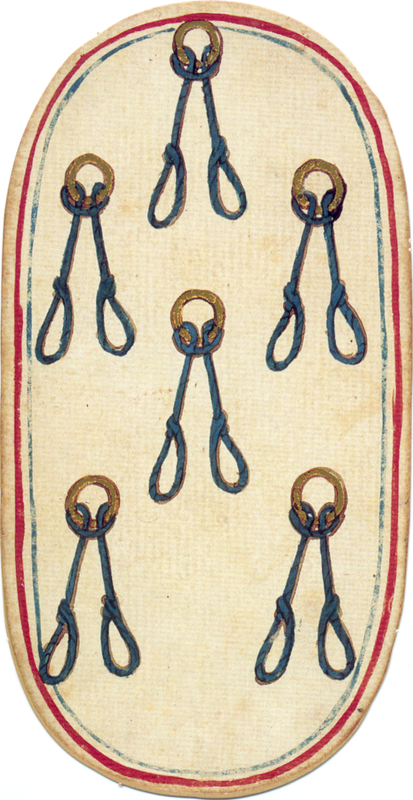 Several other features are on the other hand shared with the French style of cards. 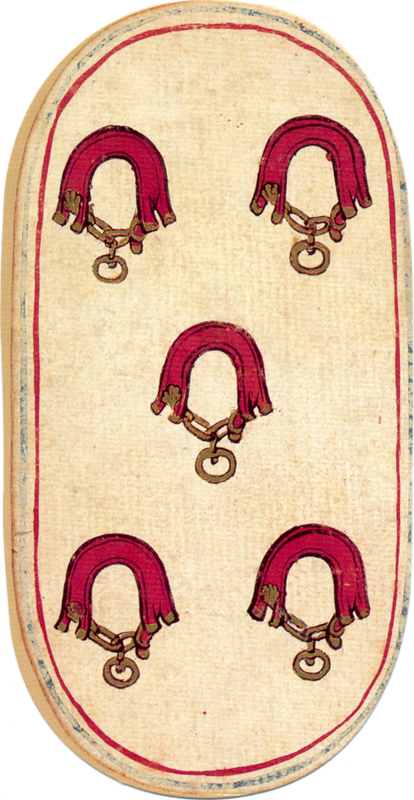 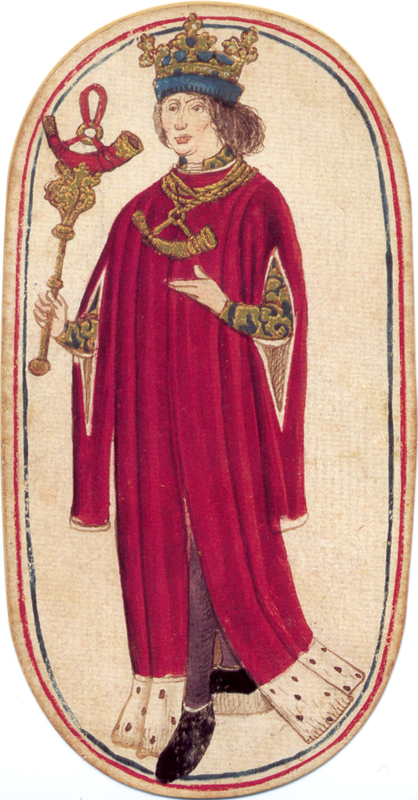 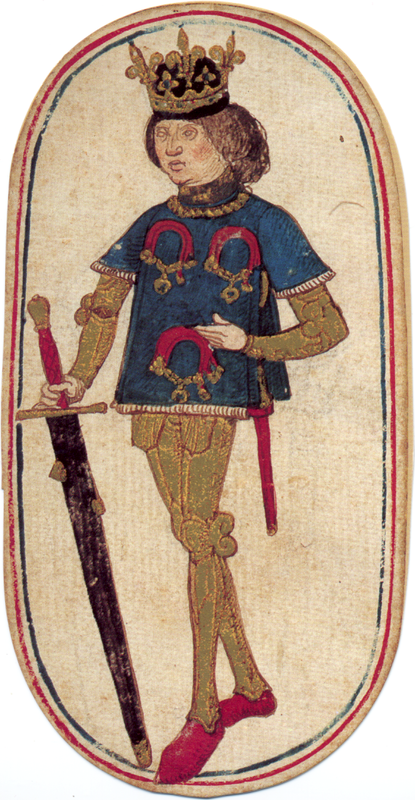 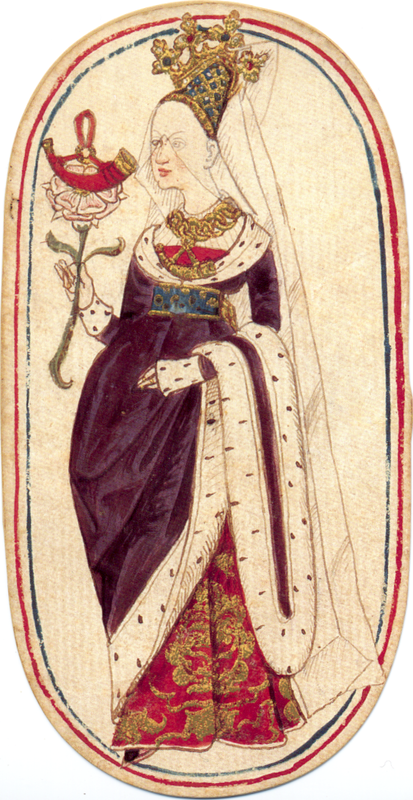 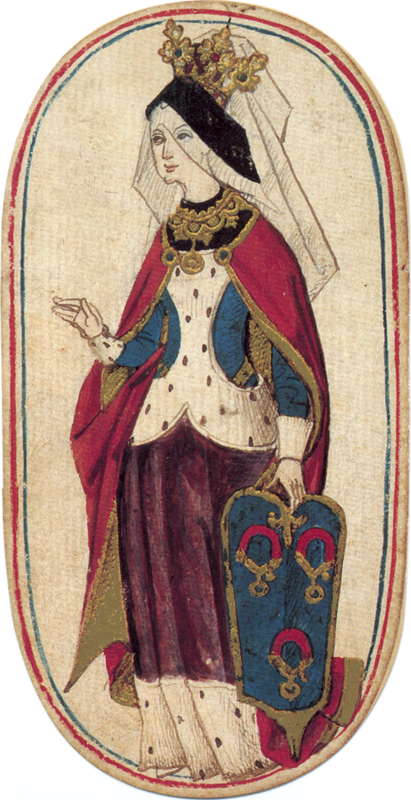 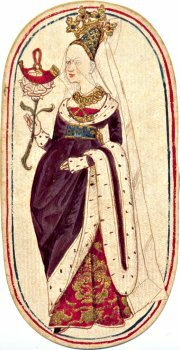 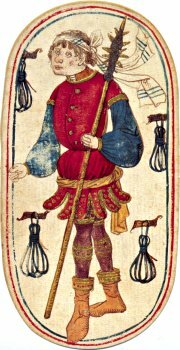 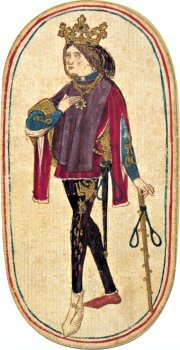 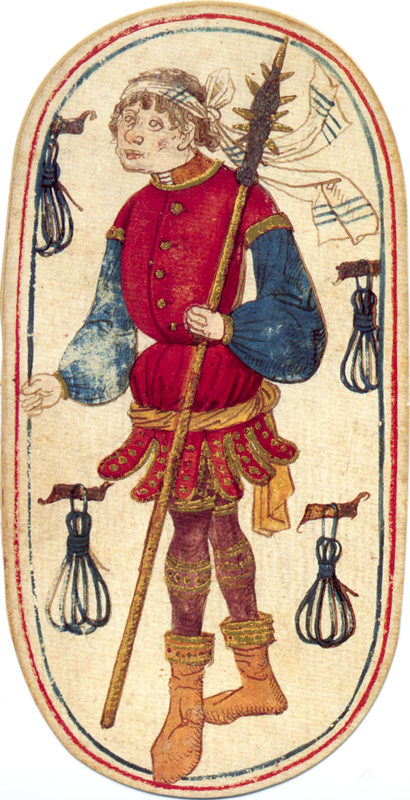 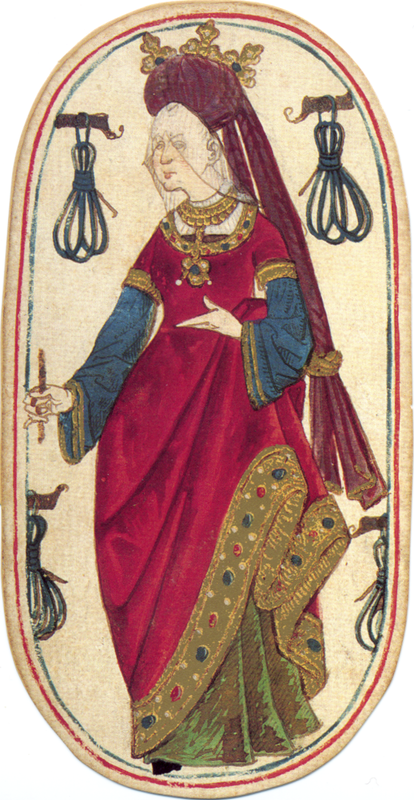 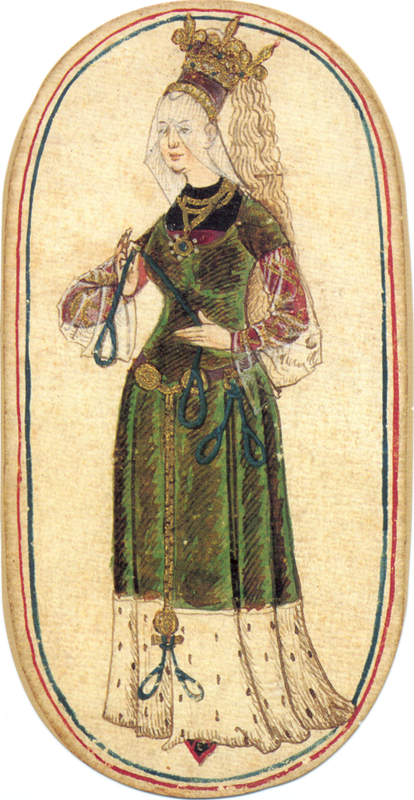 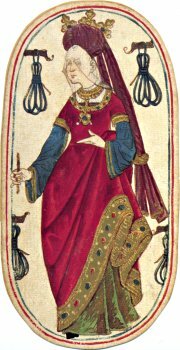 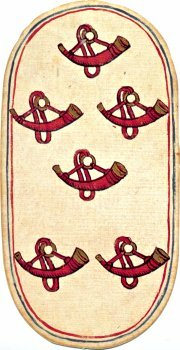 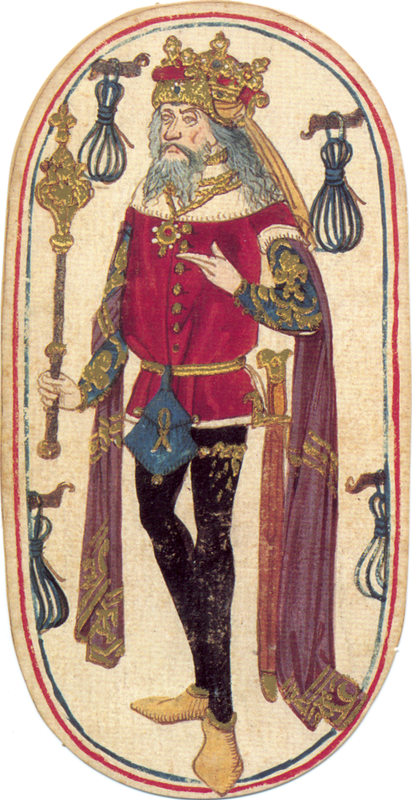 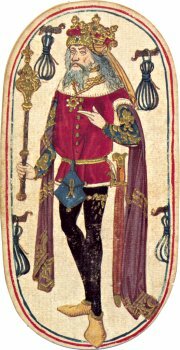 The most notable of these is the set of court cards: knave, queen and king. 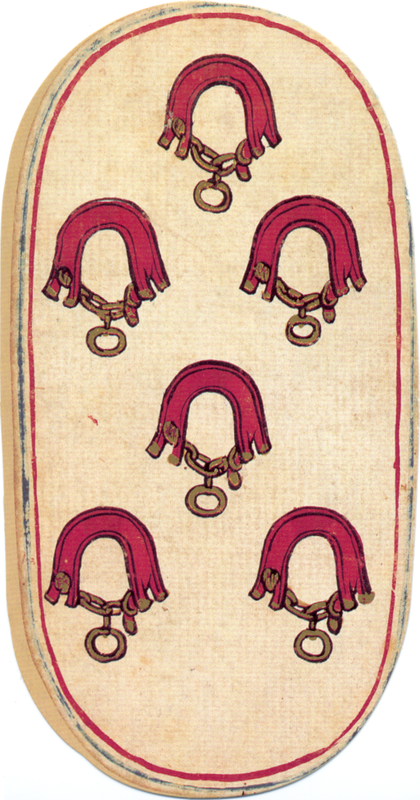 In other luxury cards of the period, a fuller set of Unter, Ober, queen and king is more common, while in some cases there is evidence that the lowest rank was discarded in many decks. 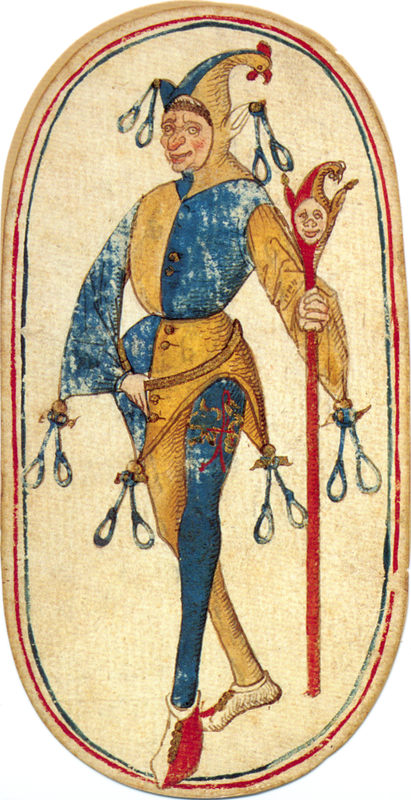 This could hardly be the case here, as the design of the knaves would not readily identify them as either an Unter or an Ober if both ranks were originally present.